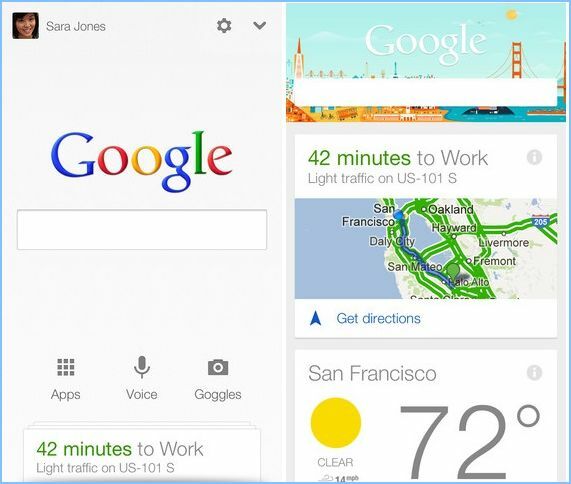 Google launched Google Now for iPhone and iPad finally and its available as part of the updated Google Search app. The Google Search version 3.0 updated with Google Now feature which provides many services in a card based interface within the Search app. Also Google voice search enhanced with this update, you can get search results instantly without typing. With Google Now you can get full informations such as weather of the day, traffic alerts, directions, reminders, breaking news,favorite sports team, flight details, stories and more. You can dismiss the cards by just swiping away on your phone. There is an option for turn on or off the single cards and Google Now has a lot of settings for customize the each cards as you want. Google Now was launched for Android Jelly Bean 4.1 version before some months. Google Now for iOS app has most of the features and looks same as the Android version. But this app cannot give you latest notification alerts of cards like the Android version, so you need to open the application to see the new informations.